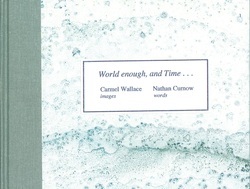 In 2005 Dr Carmel Wallace and I collaborated on an artist book based on her amazing monoprints. It was launched at Gallery 101 in Collins St, Melbourne, as part of her exhibition. It's available in rare book collections in a number of Australian libraries.